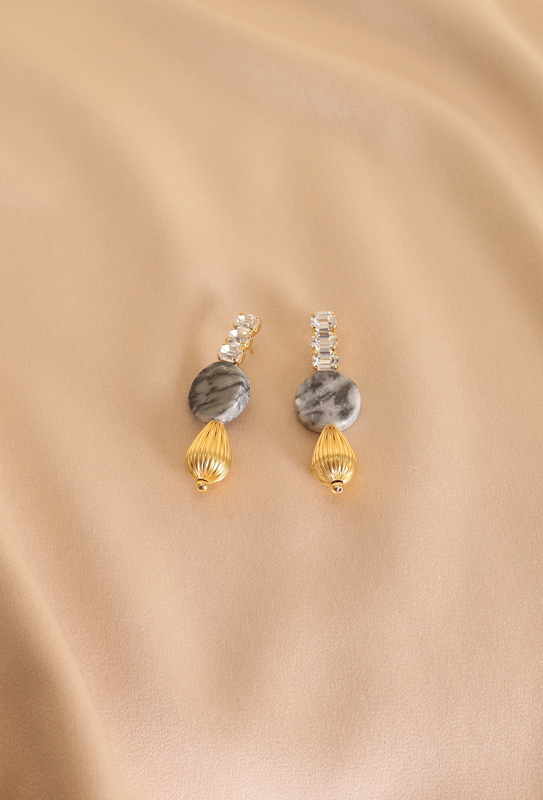 Our ‘Castellorizo Marble Drops’ are for modern women who love vintage vibes. Dropping down from a trio of white crystals, gold-plated drops hang on black and white marble medallions. Vanina is a social enterprise that grew out of a common passion between childhood friends Tatiana Fayad and Joanne Hayek to become a lifestyle label, presenting seasonal collections of jewelry, accessories, and apparel; all proudly handcrafted in Lebanon. Beneath their light and playful glamor, the Vanina products hide a passionately engaged activism that aims to promote local community development through the valorization of craftsmanship and environmental awareness. What we couldn’t resist sharing: Vanina was the Winner of the 2018 Eluxe Awardsfor the best natural and organic brand of 2017-2018.